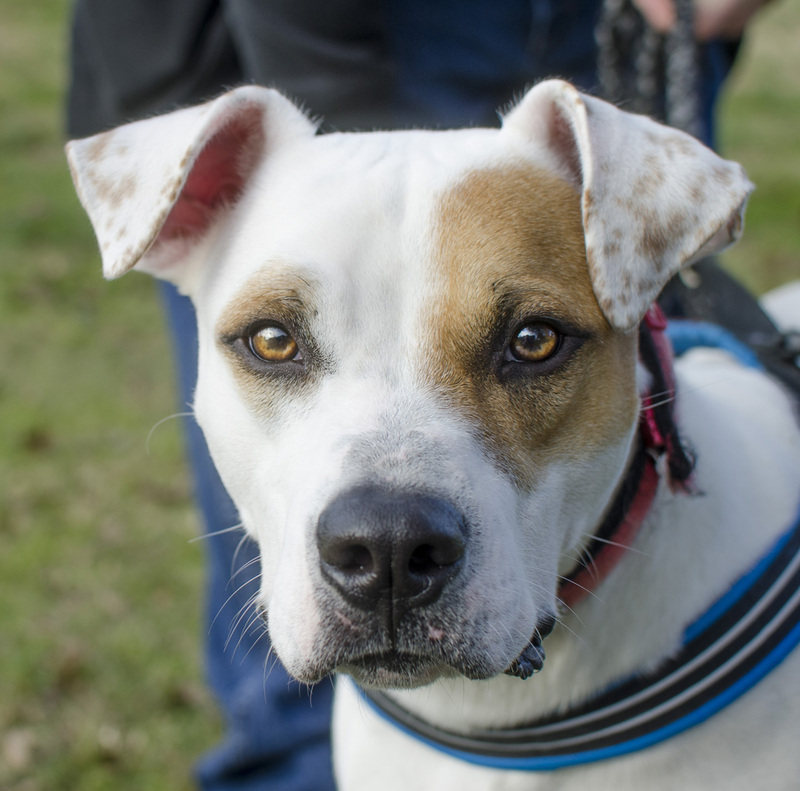 Bright-eyed and bouncy, Miles is a 50 lb, one-year-old Hound mix who is eager to learn the skills of being a gentleman dog. He has been bounced from home-to-home and for much of his short life and has not known real family stability. 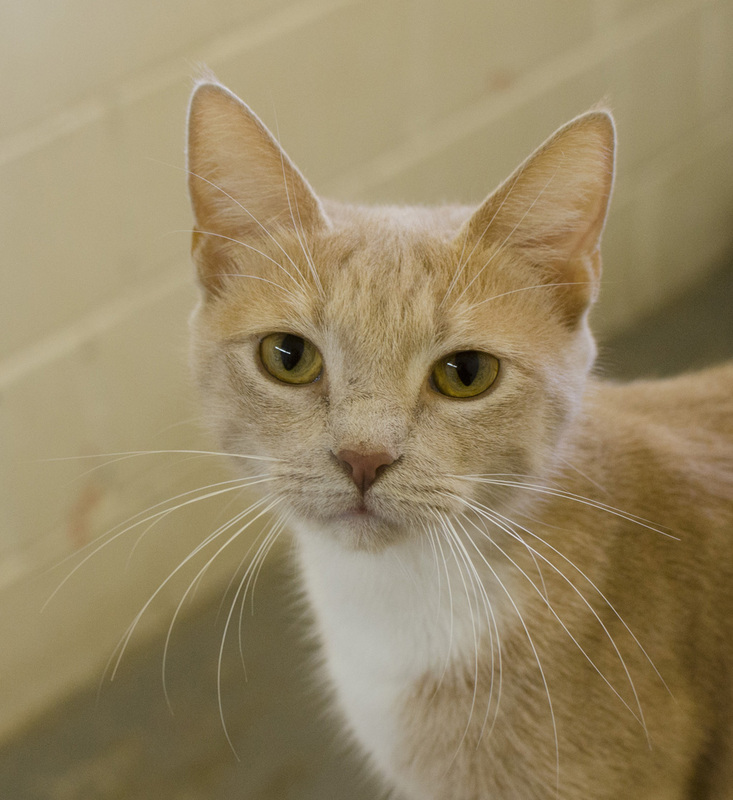 With his charming “Petey-like” tan patch around one eye and wiggly and white body, Miles is a real looker. His perfect home would be with people who let him be a true member of the family, lounging on the couch, playing fetch in the yard, or enjoying family walks. Miles loves attention, playing, and fully expressing himself, which means being the happy goofball that he is. With some loving patience and effort, Miles is the perfect dog in the making. Rhea is a beautiful dusky buff Tabby, with lemon yellow eyes, who was found abandoned and very pregnant. Soon after she arrived at the shelter she went to a foster home where she was able to raise her kittens in a safe and healthy environment. After her kittens were weaned, Rhea was eager to resume her single independent life. She enjoys affection, attention, and sweet pats on the head. Once Rhea sets her intention, it’s a done deal. If she wishes to play, take a stroll, or nap — she will. It’s that same “can do” spirit that helped her survive living in the streets and raising a family. She has set her sights to finding her forever home and wouldn’t settle for less than being a pet of the week.